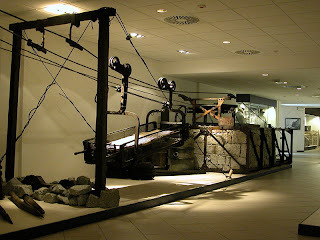 An easy and direct connection with last mountain itinerary we suggested, the eighth one dedicated a few days ago to the Adamello massif, is the short introduction about another important Italian Great War Museum. In Italy we call it “Museo della Guerra Bianca in Adamello”, and you can translate this name into White War Museum, like an homage to the great book written by Mark Thompson. This museum is located in Temù, in the province of Brescia (T. + 39 0364 94617 – see the website for updated opening times), established in 1977 with the clear intent to tell the unbelievable vicissitudes of the war in the high mountain. The most of the relics were founded in the frozen areas of the Adamello. Its qualifying feature is the specialisation on high mountain war areas from the Stelvio pass to the massifs of Ortles-Cevedale and Adamello-Presanella, descending to the area of Lake of Garda. Three rooms develop a permanent, rich and well curated exhibition of artillery, military equipment, logistics, soldiers' belongings and do not forget the young generations (everybody should try not forget them while elaborating strategies to narrate World War One) with educational and didactic laboratories for children. What is really unique about this museum is the peculiar configuration of warfare at 3000m a.s.l., a kind of frozing hell that these rooms rebuild for the visitors. We should take into consideration that war fighted at such altitude is a unique trait of the war in Italy. In fact, if we think about the other war scenerios, we won't find anything similar to what happened in Adamello or, going Eastward, on the Marmolada. The recent findings of WWI soldiers' skeletons buried on the glaciers of Italian Alps represent the well preserved traces of living conditions that especially during the winters of war went beyond our imagination.